Slate Creek Dulcimers » Videos » Shoat Hogfiddle sound check. Slate Creek Dulcimers Shoat Hogfiddle tuned Gdd. IT IS A GREAT SOUND SAMPLE, THANK YOU. Bobby, That is truly awesome. That Shoat really rings out. Love your playing and the sound of that Shoat. Thanks Bobby! I love your style and love the sound of your "hog fiddle"! Bobby, I love your playing style, and, the sounds of your dulcimers. Really really nice. What a great "old-timey" sound! It really does sing! Wow, that dulcimer sure rings true! Nice job, Bobby! Yeah, this is real sweet Bobby. 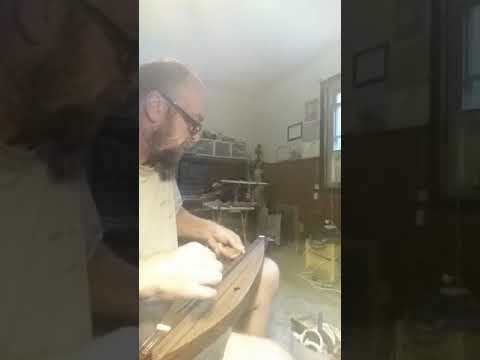 It's not easy to make a small dulcimer that sings out like this. Thank you! Honestly, I slightly changed the Shoat design and lawd a mercy! I am totally pleased with the sound! It was great before but now..... WOW! If I do say so myself! You would just have to hear it in person. Oh man......I can almost see Glory Land!!! !